President Barack Obama plans to nominate San Antonio Mayor Julian Castro as head of the U.S. Department of Housing and Urban Development in a Cabinet reshuffling, government sources confirmed to NBC News. 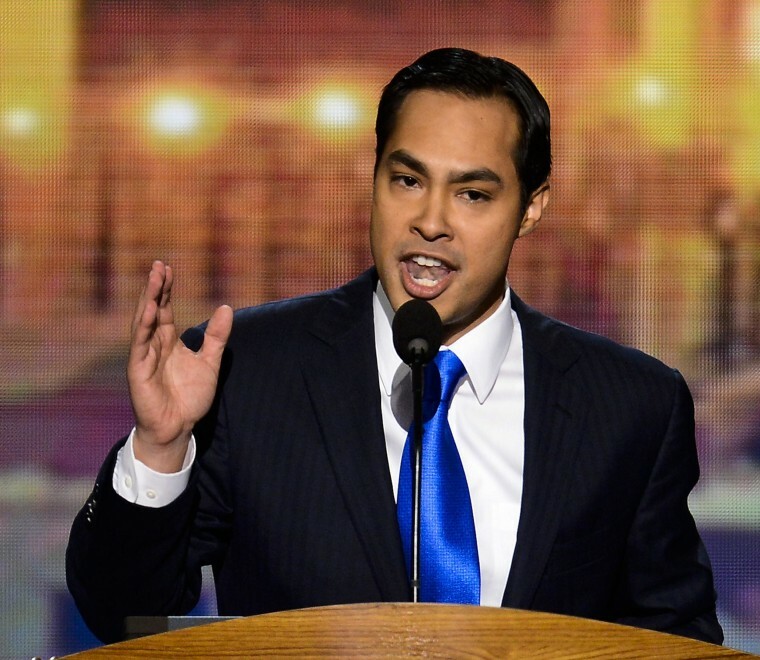 Castro, 39, would replace Shaun Donovan, who has served as HUD secretary since January 2009. He is expected to become head of the Office of Management and Budget, according to The New York Times. Sylvia Mathews Burwell, who holds that job, has been nominated by Obama as the new secretary of Health and Human Services following Kathleen Sebelius' resignation in April. According to a government source, Castro is still being vetted, but an official announcement could come soon. Obama is picking the San Antonio native because of his record on downtown revitalization, sources added. Castro, who is Mexican-American, shot onto the national stage as the Democrats' keynote speaker at the 2012 convention. His twin brother, Rep. Joaquín Castro, was elected to Congress that year. As mayor of the country’s seventh-largest city, he has touted it out as a forerunner in the demographic change that the country is experiencing. San Antonio is a majority-minority city and is 63 percent Latino. Castro has heavily emphasized economic growth and education in his three terms as mayor. Raised by a single mother, he had an early introduction to politics. His mother was an activist for the civil rights of Mexican Americans and others in the 1970s, and would take Castro and his brother to rallies and talk politics with them. He has been a supporter of early childhood education and in 2012 won voter approval for a sales tax increase to open more preschool slots in the city he manages. The Stanford- and Harvard-educated mayor has been seen as the best chance for a Latino to move into the Oval Office, although others have had expectations he could be Texas governor or vice president first. Recently, the National Council of La Raza and other minority groups expressed concern about pending legislation reforming the nation's housing finance system. The draft bill would shut down government-sponsored housing finance agencies Fannie Mae and Freddie Mac. NCLR president Janet Murguía and others have raised concerns about whether the bill goes far enough to close inequities that make it more difficult for minorities to purchase housing. Latinos were among the hardest hit groups during the housing crisis. Brent Wilkes, executive director of the League of United Latin American Citizens, said nine-tenths of the wealth of Latino communities had been in their homes. LULAC is one of about 20 Latino groups who have signed a letter in opposition to the bipartisan housing finance reform bill. "It would be huge" if Castro became the next HUD secretary, Wilkes told NBC News. "It would give us a huge boost. We'd have a chance to have a dialogue and make sure the department's resources are there to help struggling Latino homeowners." The NCLR did not sign that letter, worried about the loss of federal guaranteed mortgages and potentially unaffordable down payments. Should he become HUD secretary, Castro would be the third Latino in Obama's Cabinet, joining Labor Secretary Tom Perez and Small Business Administration Secretary Maria Contreras-Sweet.